Developed by Yggdrasil Gaming, Magic Mushrooms pokie is a 5 reels and 40 paylines game that offers a unique gameplay compared to other pokies online today. The graphics and the game play make the game stand out. Besides the graphics and the game play, the fantasy world theme and the mystical soundtracks draw players to this game. 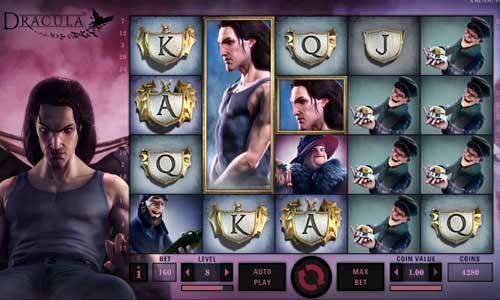 The random draw slot amplifies the player’s experience by providing more winning chances. 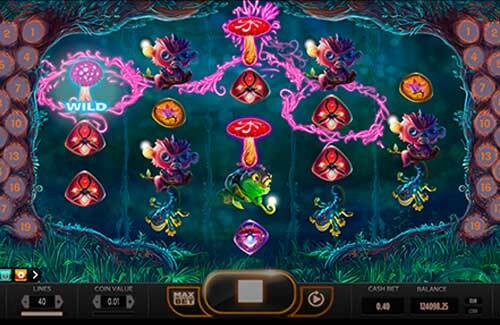 Magic Mushrooms pokie is the first of its kind from Yggdrasil. The intuitive nature of the game play allows players to not only win from left to right but also in a diamond-shaped pattern such as 3-4-5-4-3. Players can also win in a random pattern. With Magic Mushrooms, players have to accept the fact that each of the five reels holds a different number of symbols. Magic Mushroom comes with artistic symbols. There are imaginative creatures and insects among which you find three special mushrooms. The three mushrooms stand for three types of wilds. The regular wilds are on the first and the fifth reel, the multiplier wilds are on the second and the fourth reel while the Spreading wilds are on the center reel. 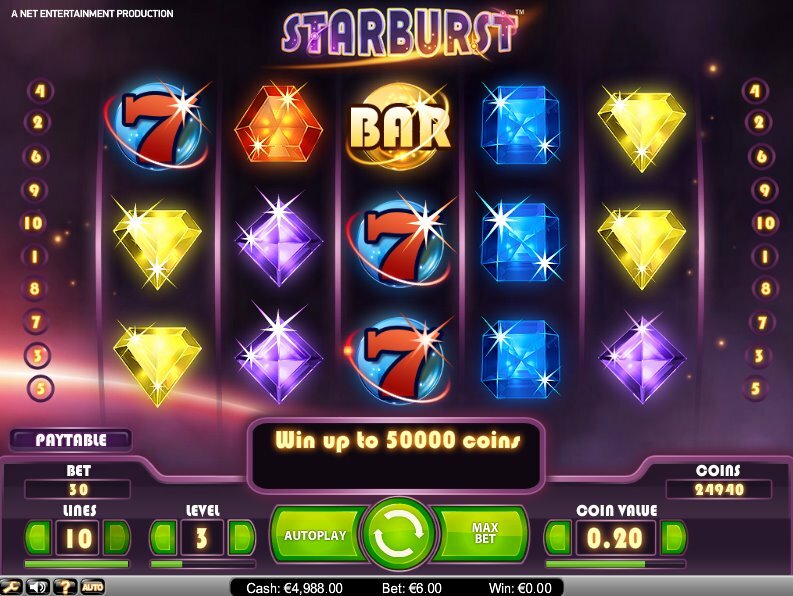 The Diamond Snail symbol acts as the scatter symbol; having more than three of these anywhere on the reels activates 10-75 free spins. To play Magic Mushrooms pokie, select the coin value and the number of paylines. After selecting the coin value and the paylines, you need to choose between the “Max Bet” and the “Spin” button. 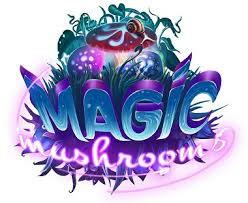 Like other Yggdrasil pokies, Magic Mushroom offers a number of bonuses, free spins, scatters, multipliers and wilds. The Magic Mushroom symbol is the wild symbol and offers between 2x and 10x multiplier when it lands on the second or the fourth reel. When it appears on the center reel, it turns to Spreading wild and changes other symbols into wilds on all other reels. The Diamond Snail symbol acts as the scatter symbol. 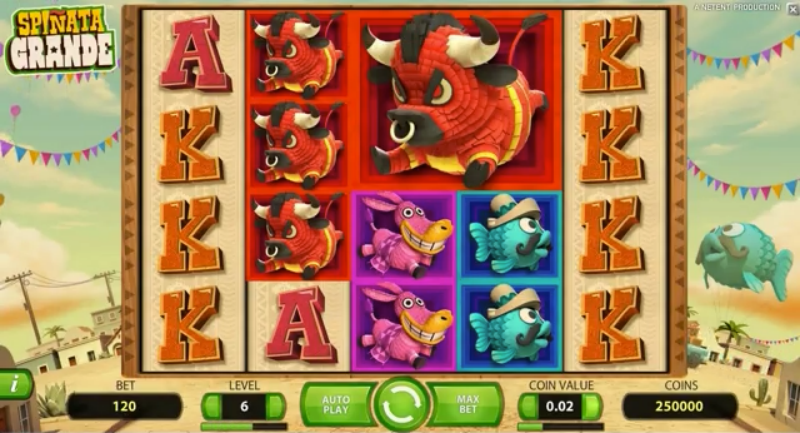 When three of these symbols appear anywhere on the reels, the player is awarded ten free spins; when four symbols appear, the player gets 20 free spins and when five scatter symbols appear, the player gets 75 free spins. The free spins can be re-triggered. Players can only play 1 coin per line. The minimum coin size in Magic Mushrooms pokie is 0.01 and the maximum coin size is 2. This allows even the high rollers to enjoy the game. The game comes with an RTP of 96.4 percent as stated in the game’s rules. This means that players have a high chance of winning. The highest payout in Magic Mushrooms pokie is a 1000 coins jackpot. Summary This slot is for players who love entertainment and making a few bucks while at it. It is a unique and exciting game with multipliers between 2x and 10x. The graphics, the theme and the audio soundtrack are able to pique the attention of the players and retain it. This shows the dedication Yggdrasil has put towards developing this slot. Overall, the game is fun to play.